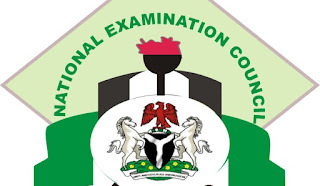 PHOTOS: Step By Step on How to Check the National Examination Council, [NECO] November/December (GCE) Examination Results for 2018/2019. NECO GCE 2018 Result Checker Online Free. The results are available on the Council website for all candidates to check. Also Read: NECO GCE (Nov/Dec) Registration Form | SSCE External. NOTE: Before you can check any of the National Examination Council, NECO Result you are required to purchase a token which will serve as a scratch card in the checking process. We have published a detailed guidelines on how to do that here. 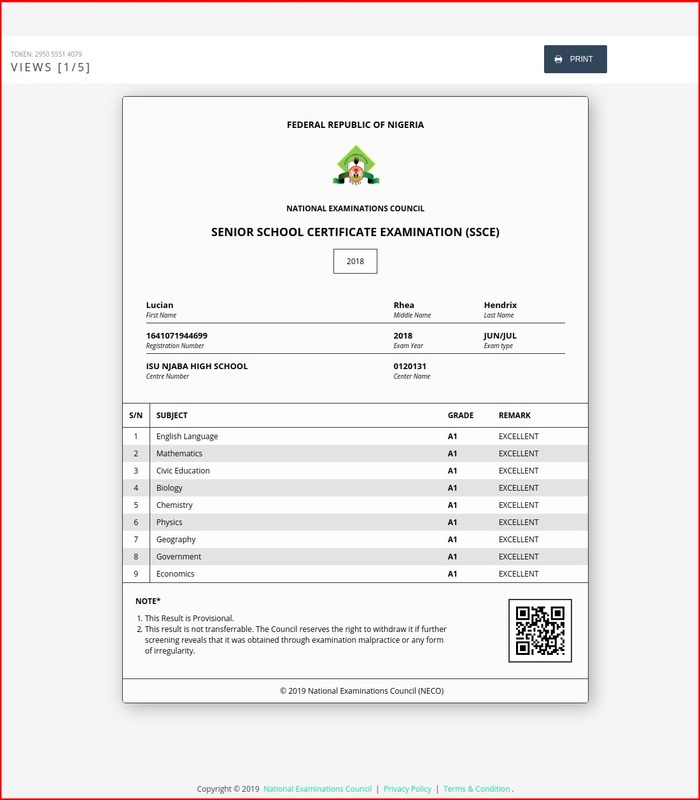 SEE: How to Purchase NECO Result Token for SSCE, BECE & NCEE [PHOTOS]. 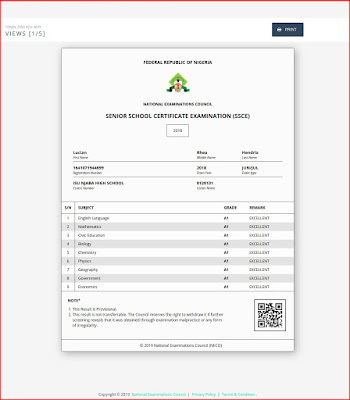 The new Results online system offers a convenient way to check all NECO examination results. Once results are released, it will be made available via NECO Results system (www.result.neco.gov.ng). Click Check Results to View Results. 1. Kindly visit the NECO result checking portal via https://result.neco.gov.ng/. Recommended: 2018 NECO Nov/Dec (GCE) Results Statistics | 62.48% Pass Recorded.